We use a variety of hand grips in our WODs, each having a specific purpose depending on the type of lift, pull, or press being performed. Varying the hand or thumb position changes the muscles used and can make the movement easier or more difficult in some situations. In this article, we’ll explore the most common types of hand grips, detailing their correct positioning and illustrating their proper implementation. The Pronated Grip, often called the Parallel, Standard, or Overhand Grip, is performed by gripping the bar with your thumbs wrapped around the bar, palms facing your body, as in the start of a deadlift. 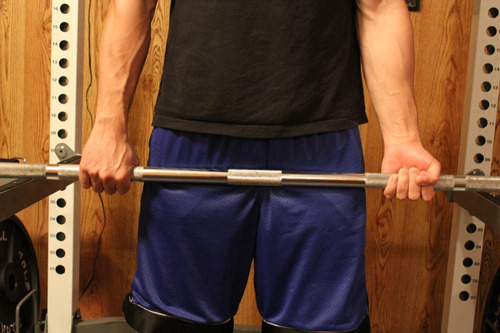 This is the grip normally used for cleans and pull-ups as well as bench and overhead presses. Take away the wrapping of the thumb, and the Pronated Grip becomes the False Grip, or as it is sometimes referred to, the Suicide Grip. Without the thumb to lock in the bar, the bar may slide off the palm and drop on your face when doing bench presses, hence, the suicide moniker. The benefit with this grip is without the locked thumb, the bar is more inline with the wrist and this allows you to push with a more natural feel. Unless you are an experienced lifter with a strong grip and are confident with the weight you are working with, we recommend against using the False Grip. In a Neutral Grip, your palms face each other. 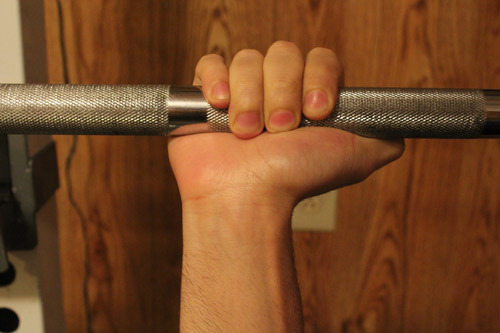 This grip is common in some cable rows or hammer curls. The Supinated, or Underhand Grip is the opposite of the Pronated Grip, where your palms face upward. You use this grip for bent over rows or chin-ups. The Alternated or Mixed Grip is where one hand is overhand, and one is underhand. 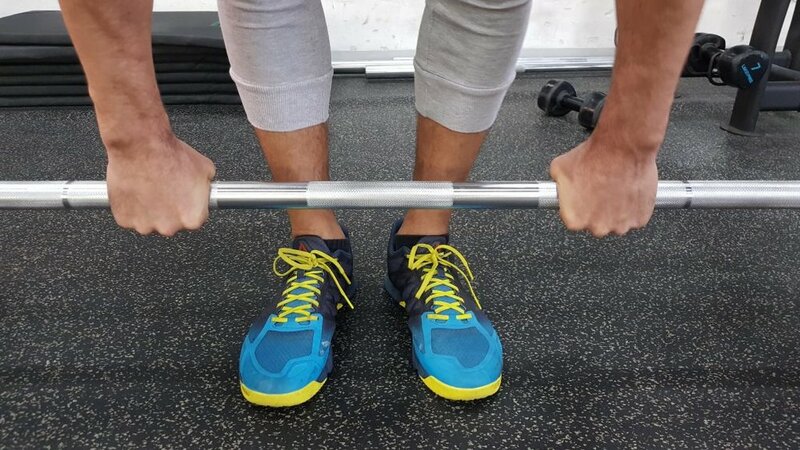 This grip can help you pull more weight in movements like deadlifts where the bar wants to roll out of your fingers in a normal overhand or underhand grip. While the Mixed Grip helps prevent the bar from rolling out of your hands, there are a few cautions to heed with it. First, we all have a side that is stronger than the other. It’s important to alternate your overhand and underhand hands so as not to build up your strength in only one side. Also, when you deadlift with a mixed grip, you will tend to twist as you stand up, as the underhand side wants to pull forward and the overhand side wants to push backwards. Another reason to train both sides. Additionally, the underhand-gripped side tends to place that underhand bicep in a vulnerable position. As the weight increases, especially in the case of deadlifts, you want to make sure you are keeping your arms straight and not engaging the biceps in the lift. Failure to do so can lead to bicep tendon tears. You don’t want those. What’s interesting with grips is not only can variation of grip change the ease or difficulty of the movement, but it can also affect the muscles worked in the lift. Take, for example, the seated row. Do the row with an overhand grip, and you work your upper back and traps, whereas an underhand grip in the same row targets the lats more. You will find that the amount of weight you can move in your lifts will vary greatly depending on the grip you are using. This is completely natural and normal. Our WODs are programmed using varied grips so that lifts can be changed and different muscle groups worked. This is a perfect reason to record your weight lifted in a notebook or app. 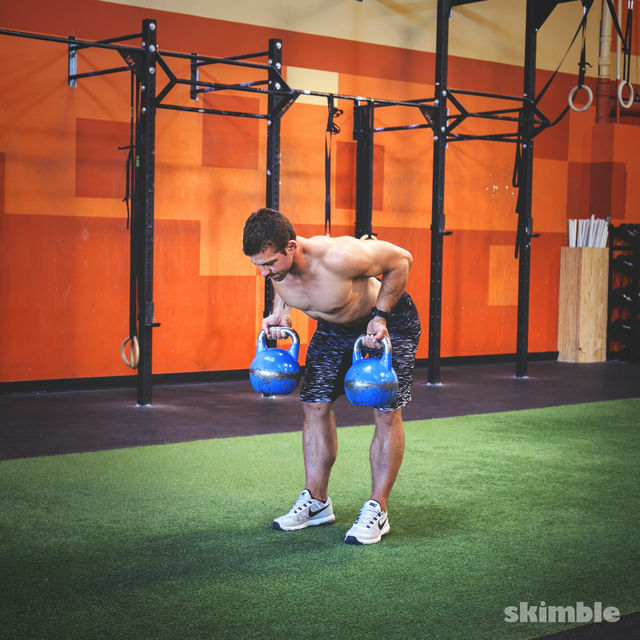 Having a training record will allow you to adjust to the proper weight for the prescribed grip.